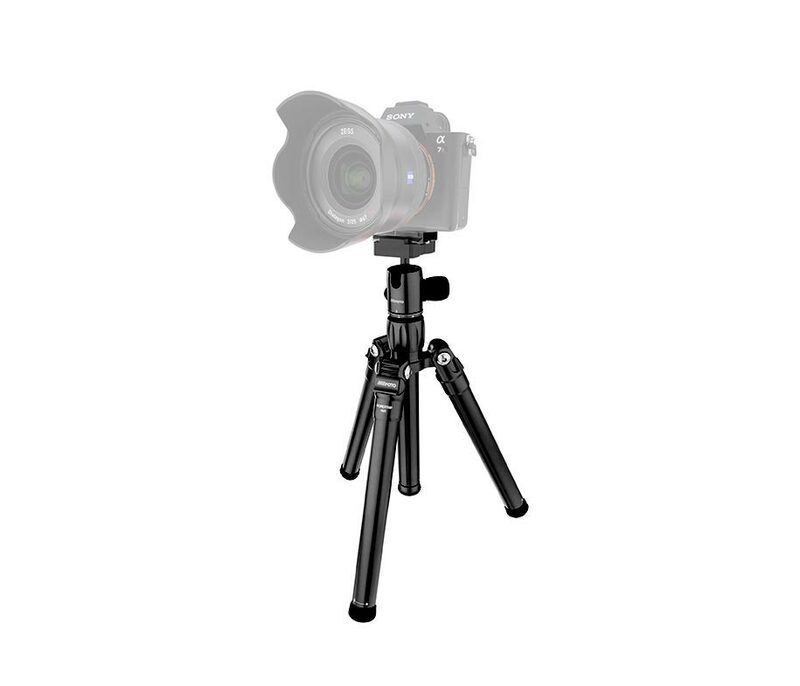 The black RoadTrip Air Travel Tripod from MeFoto is a sturdy, lightweight, and compact aluminum alloy support designed for the modern enthusiast and smartphone photographer. Extending to a maximum height of 61" and capable of supporting up to 13.2 lb, the RoadTrip Air is not all that different from its Classic series sibling with one big difference HyperLocks. 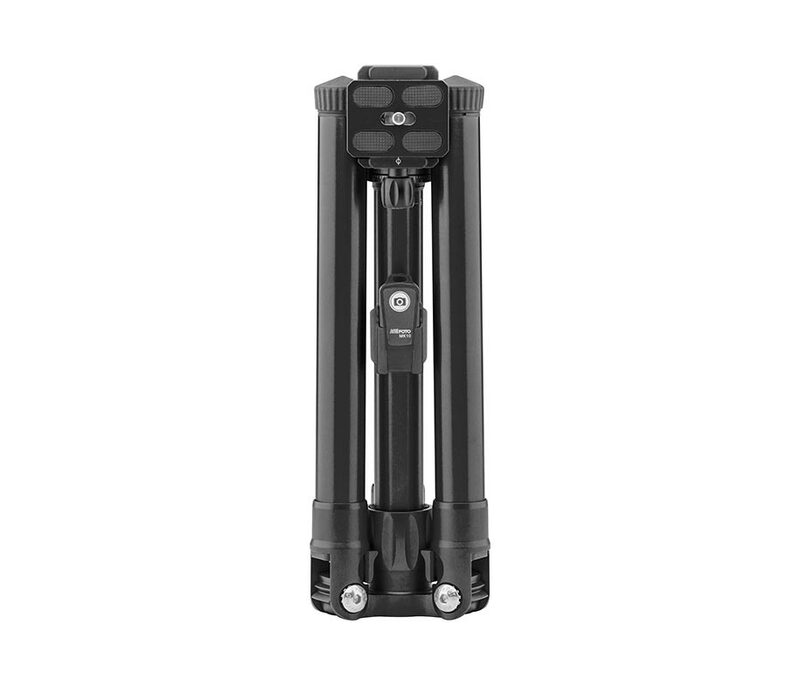 The telescoping 5-section HyperLock design allows the user to set-up and break-down the tripod with speed and ease by simply turning the rubber foot in one direction to extend the leg and in the opposite direction to lock it at the desired length. This design also helps to reduce the tripod's overall weight down to a transportable 2.5 lb. Appealing to both system camera users and smartphone photographers, the Air series comes equipped with a few features that many users will find both fashionable and functional. Starting off, the Air series features a color-matched Arca-type compatible ball head, which not only includes a color matched Arca-type plate, but is also capable of independent 360degrees pans an uncommon feature on a ball head this compact. Secondly, the entire center column may be removed from the tripod and, using HyperLock technology, is capable of extending into a stand-alone selfie stick. A folding smartphone adapter is included for convenience as is a universal Bluetooth remote capable of triggering the camera on most smartphones. 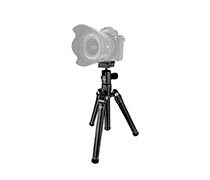 Lastly, MeFoto aims to make user manuals a thing of the past with new intuitive icons on the tripod's body. Each icon is placed at a point of interest or adjustment and details, in easy-to-understand pictograms, how to adjust the tripod for any shooting situation. 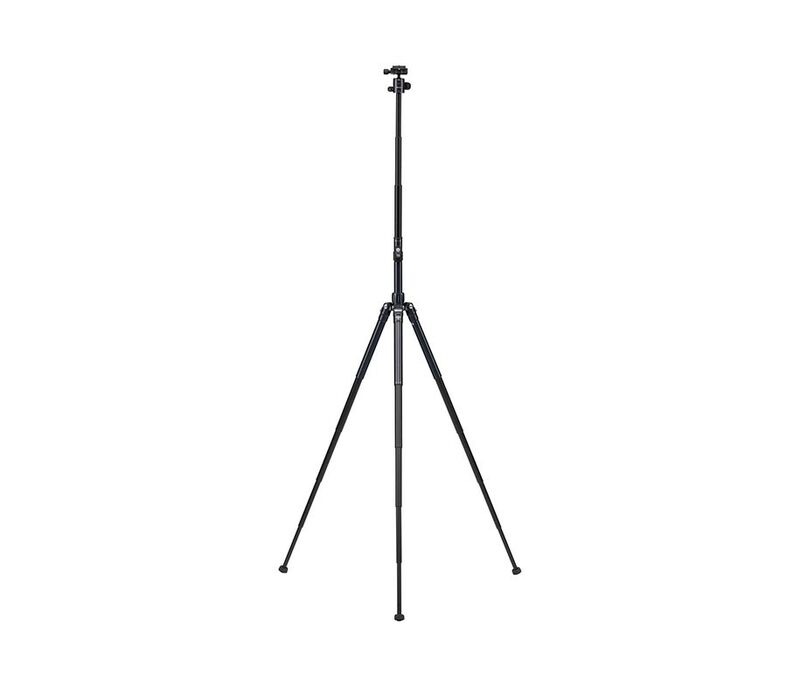 For those looking to use the RoadTrip Air for low-angle photos or on a table top, each one of the tripod's anodized aluminum legs can be spread independently down to a minimum height of 11.4". The 3-position leg angle stops allow the user to adjust the tripod's height to accommodate almost any shooting situation. Additionally, a removable spring-loaded hook is located in a recess at the bottom of the center column, allowing you to hang a variety of weighted objects to increase the tripod's overall stability. 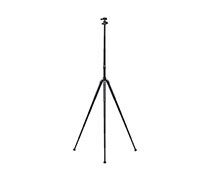 As a travel tripod, the RoadTrip Air is designed to fold in an inverted style with the 3 legs collapsing upward around the center column. This design allows the RoadTrip to attain a compact folded length of just 11.4", which fits conveniently within the included soft carrying case. The HyperLock design allows the user to set-up and break-down with a single knob. 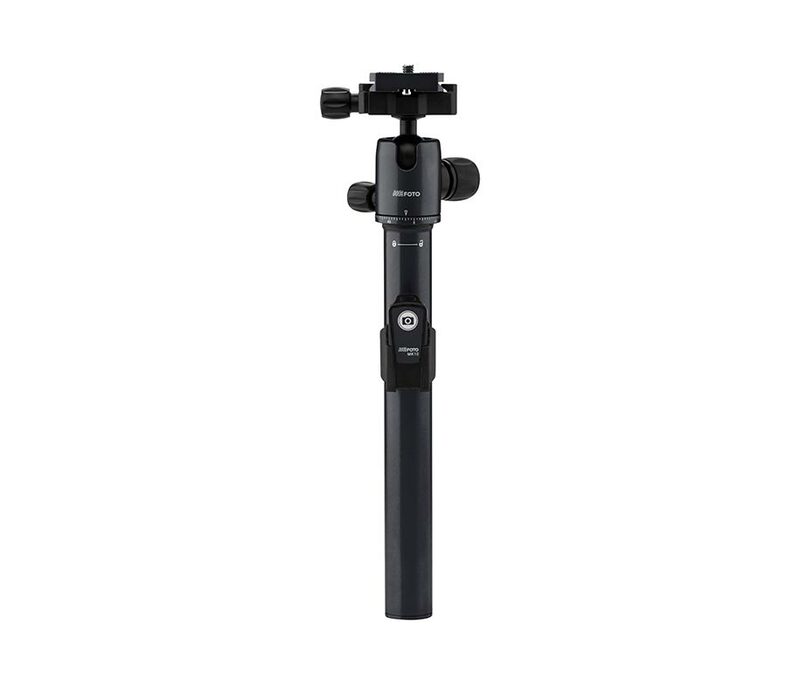 The integrated Selfie Stick utilizes the ball head for positioning and includes a Smartphone adapter and Bluetooth remote. 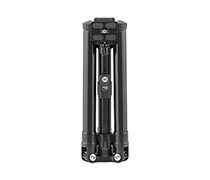 Fits into luggage and won't weigh you down with a folded length of 11.4" and a weight of just 2.5 lb. 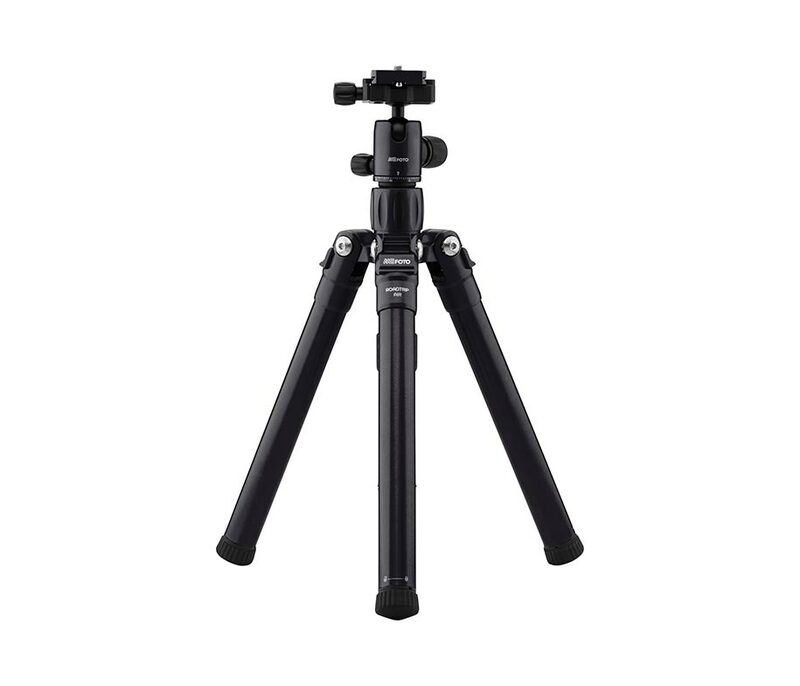 User-friendly icons highlight points of adjustment on the tripod and make user manuals a thing of the past. Included ball head features a primary lock, separate 360degrees independent pan lock, and utilizes an industry standard Arca-type compatible quick release.